I’ll try to use I2C to control the sensor. So i’ll use the Pin indicated as GPIO0(SDA), GPIO1(SCL), 3.3V Power and Ground. They are all on the left corner, it’s easy to create a cable. The TC74A5 is directly connected to the corresponding PIN. Result is returned as an hex number and is directly degrees. That was for the hack as you can found it in many places, now, let’s go back on reality : once you have close your sensor in a box, what you measure is totally changed by the heat of the processor. The good news is that if you do not use your CPU for many task, its temperature is quite stable and you can correlate the sensor temperature with external temperature. (If the precision you need is not thin). 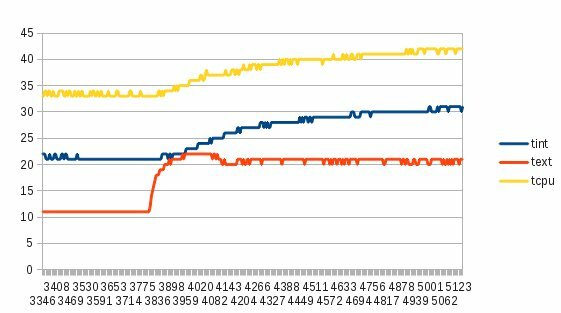 In yellow the CPU temperature, in blue an internal sensor and in red an external sensor we will assume as the real temperature. The same remark can be applied here. We could also assume that external temperature can be evaluated from the CPU temperature. The problem of this system is mainly the time to get on stable situation and get approximate temperature. The next test will be to add a sensor in between box and outside. 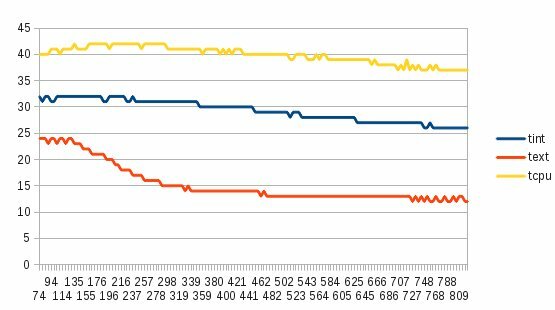 Unfortunately this last result is not as expected and it is really close to internal sensor results. Another correlation I obtained between external temp, internal temp and CPU temp is External Temperature = Internal Temperature – ( CPU Temperature / 4 ). This is not perfect but not totally wrong estimate. Get the TC74A5 datasheet here. 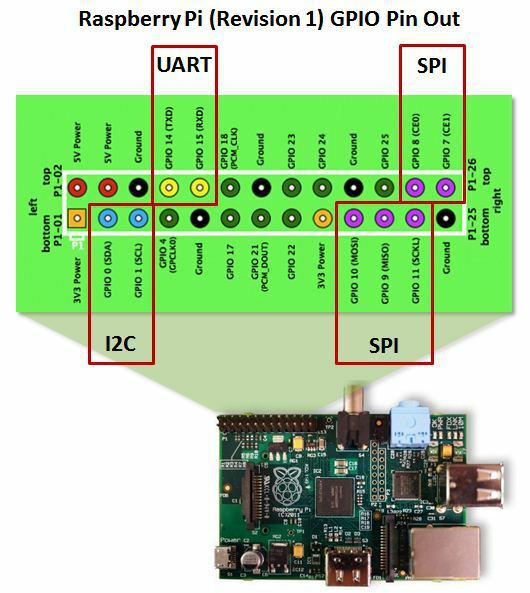 This entry was posted in Hardware and tagged gpio, i2c, raspberry pi, rpi, sensor. Bookmark the permalink.